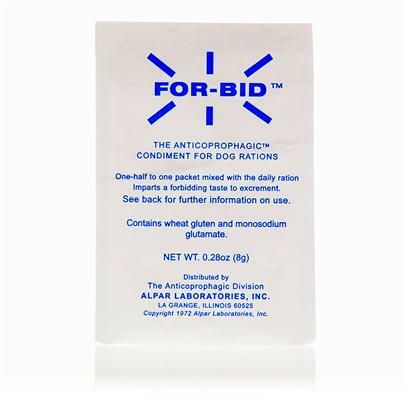 For-Bid is a highly effective edible product that stops pets from eating their own stools. It imparts a forbidden and unpalatable taste to the feces. For-Bid is easy to use by simply sprinkling on your dogâ€™s food. Rated 3.5 out of 5 by 7 reviewers. Forbid Works when used correctly!